Our WARRIOR Heavy Duty Workshop Crane has a capacity of 2000Kg. It has also been overload tested to 125%. 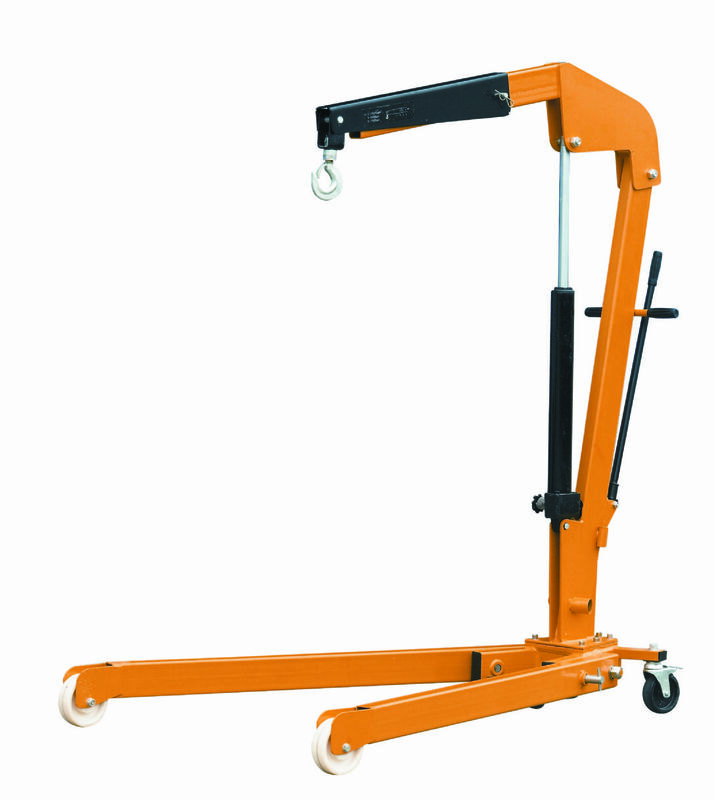 It is fitted with a three position telescopic jib, double acting quick lifting hand hydraulic pump unit, and a heavy duty swivel hook complete with safety catch. The folding mechanism saves on workshop space when not in use and please note this unit is mobile and free standing when folded. Allows operator freedom to work close to machines or over obstructions Designed with safety in mind this crane meets all international safety standards. Robust construction. Manufactured from hollow steel box section for combined strength and lightness. All Welded construction. All models feature a heavy duty, double-acting pump for fast action. Fitted with a safety relief valve to prevent overload.Top quality hydraulics fitted with chrome plated piston rod on ram and pump.Precision built hydraulic ram.Precision built hydraulic pump. 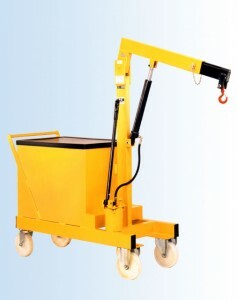 Fitted with hard wearing black nylon front wheels and swivel castors on the rear for easy movement of the crane when operational. Rear swivel castors have toe-guards fitted. Total locking foot brake fitted.